Jen: This month the election cycle dominated our lives, and now that it is over, Keith and I would like to add our two cents worth. Inevitably, some of your candidates won and some lost, but we are on the ticket here at CLC, and bringing you our wish list of DISNEY characters we’d love to see in office. I know many of you wish the election cycle was over...that was so silly of you because when you wish upon a star… (NOTE: Be prepared to break into random song throughout the entire read). I named my pick for POTUS, Veep and thought I’d throw in a couple of other Washington D.C. jobs too. Keith picked out some prime characters for some other cabinet positions. If this goes well, Melissa might let me pick my dream Love Boat crew! And they’d all whistle while they worked. But I digress… If Keith and I were to fill every political position available, we’d be here all day like a hanging chad wishing for someone to put us out of our dangling misery. Why? Because we like you…and you have holiday things nipping at your heels to attend to so let’s get on with the show! J: For President, I have to go with Mufasa from The Lion King. Friends, we’d hear James Earl Jones’ voice all the time. All. The. Time! I could listen to him command a room and make proclamations from the rising to the setting of the sun in my circle of life. That booming baritone. The powerful tenor and spot on diction. Just saying the name “Mufasa” should be enough to earn this character 100% of the popular vote. James Earl Jones was meant to voice the leader of the free world. J: My pick for Vice President is none other than Genie. 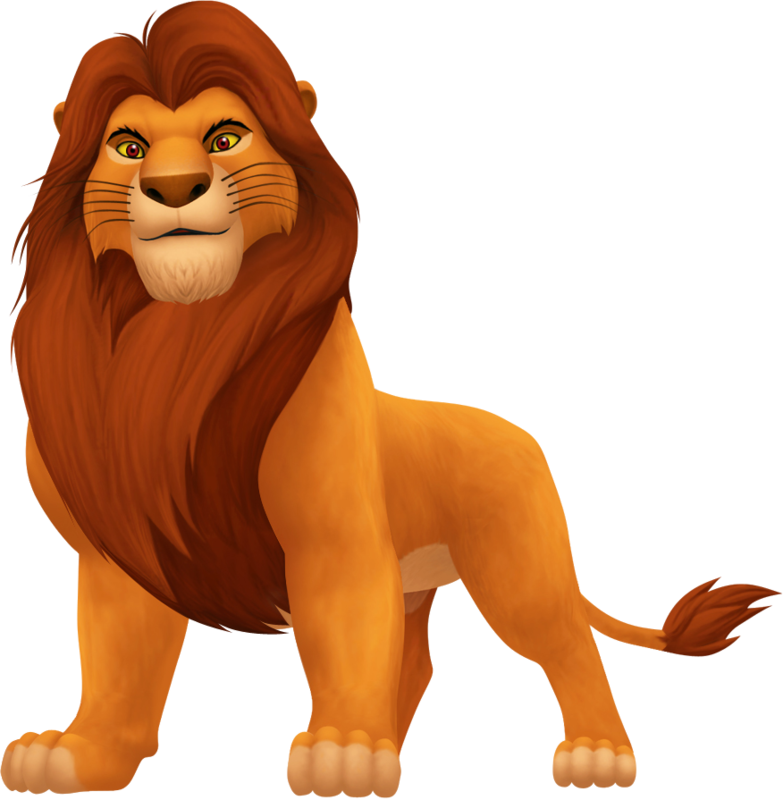 We need him to balance out Mufasa as President. The serious and the satirical. Can you imagine the Laurel and Hardy comedy routine? Genie makes things happen. He gets down to the business of decision making by simply following directions. Three wishes? You’ve got it! If you’re nodding off in one of Vice President Genie’s meetings or while attending one of his public appearances, then that’s your own fault! 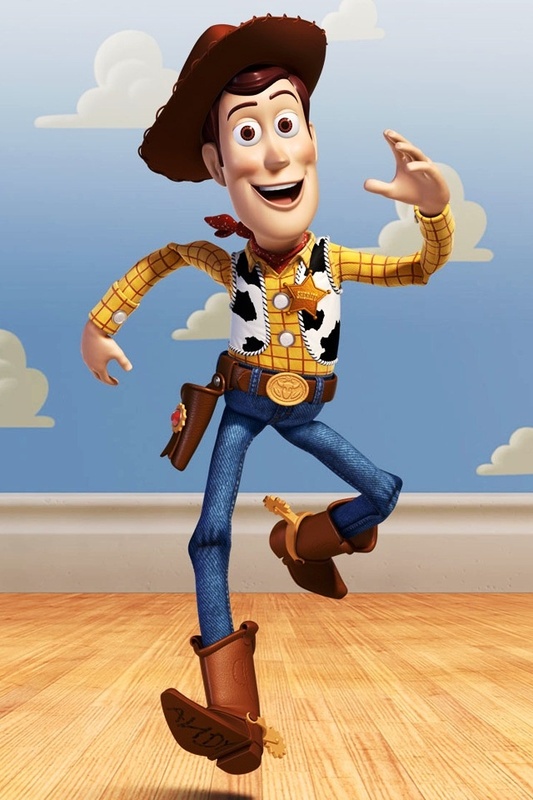 You’d have to be on your toes because you’d never know if John Wayne or Jack Nicholson were about to make a sudden impressionable appearance. 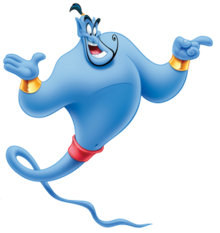 Genie on the ticket in 2020! 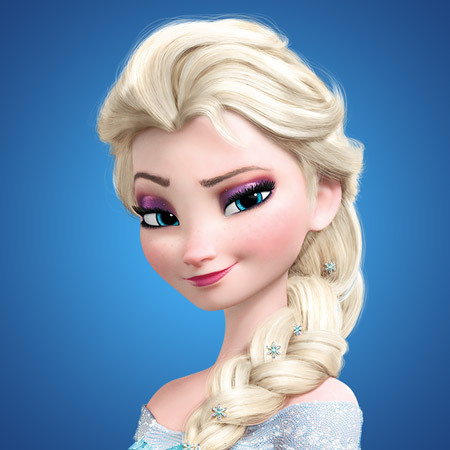 J: As long as we’re pretending Disney characters are running the government, this next choice seems logical if not superior. 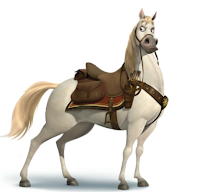 Maximus, the glinty-eyed steed from Tangled is my pick to head the Department of Defense. This is the horse you want on your side in dark alleys! Maximus is all that and a bag of oats—he follows orders better than any four-legged creature I’ve ever owned and can track down a fugitive like Walker, Texas Ranger. My golden retrievers can’t find their own tennis balls in daylight, but this horse has mad skills. He also knows when it’s time to be reasonable, shake hooves, and play nice. 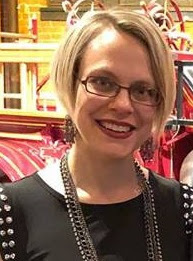 Yes, he sucker-punched Flynn right in the kidney when Rapunzel wasn’t looking but you and I both know Flynn is not Mr. Innocent either. And this horse can sword fight! I mean, c’mon people! Mr. Ed could learn a thing or two about diplomacy and swashbuckling from this horse. J: Secretary of Education. Maleficent. No kid would skip school ever. EVER! K: But, NEVER accept an apple from her. K: Secretary of State. Ursula, the Sea Witch. 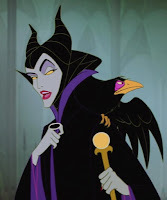 Oh sure, she is a “villain,” but she is my all-time favorite villain, so she must be on the list. 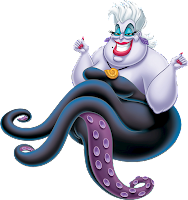 Plus, the Secretary of State negotiates lots of diplomatic deals, and Ursula negotiated for Ariel’s VOICE, people. She gave up her VOICE to the woman. Ursula has skills that need to be used with Russia and Iran. K: Supreme Court Justice. Elsa. OK, a spot isn’t exactly open on the Court right now, but eventually one will be available. Who better than a young, independent woman to lead us in to the next decade? What do you think? How did we do? Who else would you like to see working in Washington, instead of at Disney Studios?